Our kitchen has been overflowing with noodles lately. 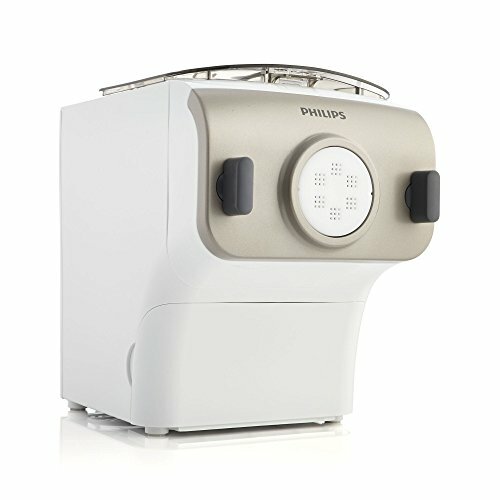 For any noodle lover, it has been noodle heaven around here as we put the Philips Pasta Maker through its paces. The machine easily makes a pretty great italian noodle, but our goal was a bit more lofty: to see if the Philips Pasta Maker was up to the task of pushing out great ramen. 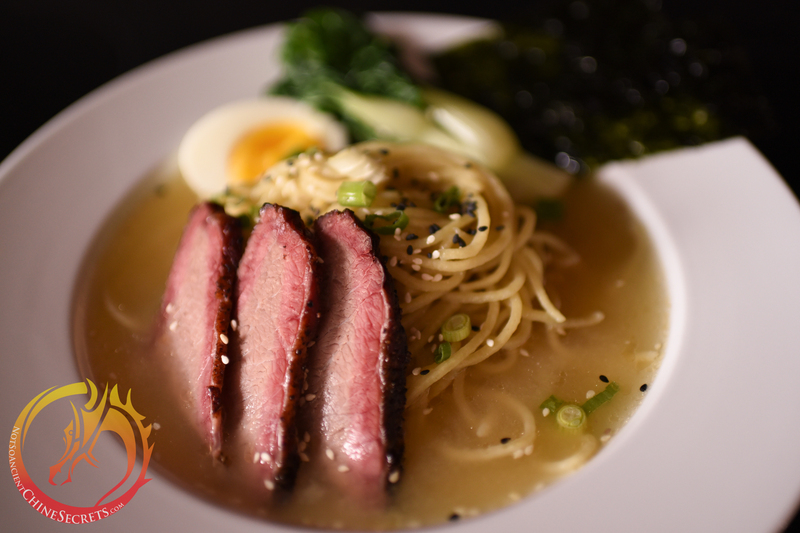 Ramen has a bite and bounce different from any other noodle, a result of adding alkalinized water and the use of higher protein flour. These elements contribute to a *much* firmer dough, as those of you who’ve experienced the hefty arm workout while rolling ramen dough by hand can testify to. 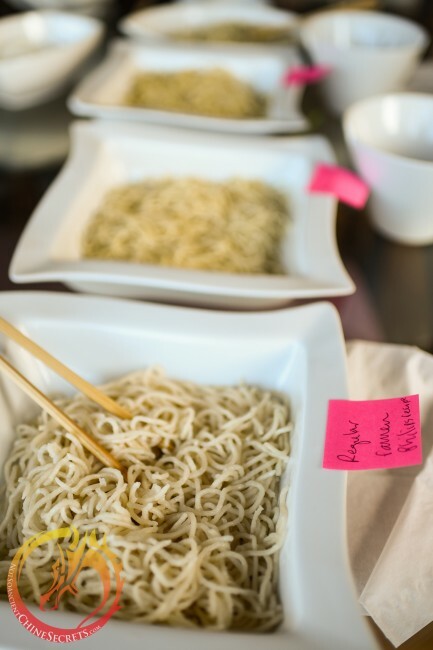 To test the ramen, we had multiple ramen-off parties with like-minded foodie friends where we pitted various experimental Philips ramen recipes against each other AND our beloved hand-made ramen. We tested everything from hand rolling/cutting, various amounts of alkalinity via kansui or baked soda, to adding an egg/no egg, to using different flours (00, bread flour, all-purpose etc), to adding wheat gluten… the list goes on and on… after many-a-carb-coma we’ve finally come down to a tasty recipe that does the trick for a quick weeknight ramen craving. 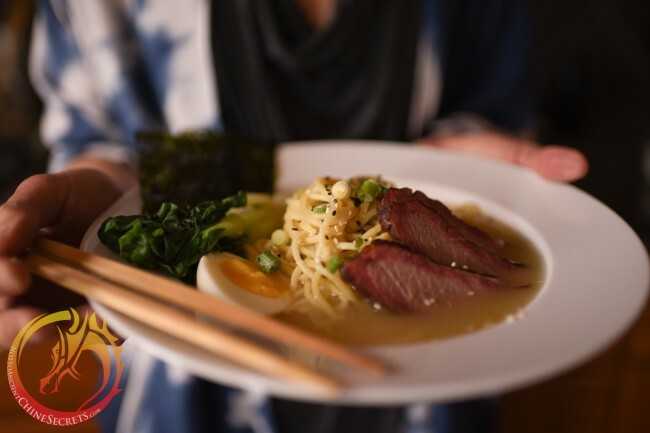 It’s important to note that since the Philips extrudes (pushes out) the noodles the resulting texture will never be as smooth and uniform as the more traditional rolling and cutting method demonstrated in our post on How To Make Ramen Noodles. However, for the sheer ease with which we can have homemade ramen noodles in 10 minutes, the Philips does a pretty darn good job at working it’s way into a permanent spot on my kitchen counter. Our recommendation is to use kansui if you can find it in your local asian supermarket. 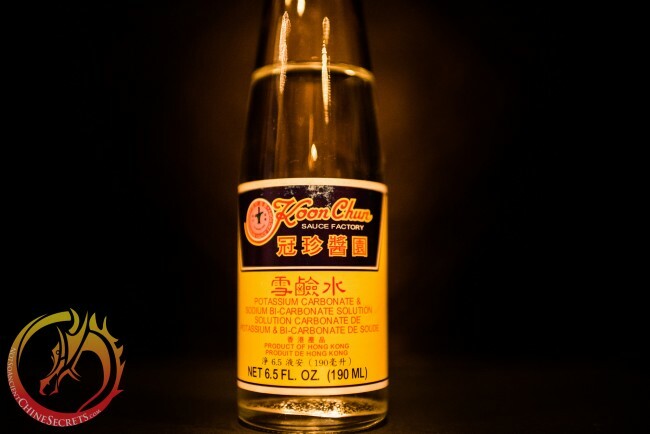 We use the Koon Chun brand, a mixture of potassium carbonate and sodium bi-carbonate. We’ve found kansui gives the best taste and texture to your noodles. If however, you have trouble sourcing it, we’ve included a simple Baked Soda Alternative method. The “baking soda” taste is a little more noticeable when using the Baked Soda Method, but it does a decent job if you can’t get the bottled stuff. Enjoy this little video showing mister Philips churning out ramen noodles along with some simple instructions. * If you don’t have kansui, see below forBaked Soda Alternative method. 1. Mix dry ingredients and transfer to Philips Pasta Maker with spaghetti extrusion disc attached. Close lid. 2. In a small bowl, mix wet ingredients. 3. Turn on Philips and choose the 300g setting. Press Start. 4. Slowly pour wet ingredients through the opening in the lid. 5. Once noodles are all extruded, boil in 195 degree F water for 2-4 minutes, stirring to avoid sticking. After 2 minutes, test every 30 seconds until done. 6. Drain. Either toss in sesame oil or add directly to hot soup. Garnish and serve. Spread 1/4 cup baking soda in thin layer across cookie sheet. Bake at 250 degrees F for 1 hour. Store in sealed glass container. Dissolve 5g baked soda in 20g hot water. In separate bowl mix egg and top with cool water up to 75g. Start Philips machine. Pour dissolved baked soda mixture first, followed by egg mixture.